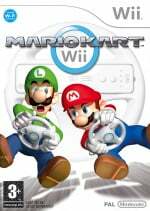 Mario Kart Wii Will Have Text Chat But No Voice Chat! Which means you don't get a bunch of rowdy Americans asking if you're "Australian" or if you've "brushed your teeth today"? You will not be able to chat in the actual games themselves (well you wouldn't be able to anyway unless you had 15 arms right?) but you will be able to create "lobbies" in which you can chat amongst your mates while you wait for other racers. USB keyboard's are expected to be supported although you will still be able to use the tediously slow on screen keyboard. It sounds like the Mario Kart Wii online experience is going to be fairly well polished but no doubt some people will still manage to complain. I'm not too concerned about the lack of voice chat and am pleased to hear that you'll be able to form "lobbies". All is good in the world? I don't think you need voice chat in Mario Kart, but for more team games like a FPS or other sort strategy its a must. Although I don't care because thats what a PC is for. I think Nintendos just trying to avoid trash talking idiots. I played Counterstrike once. Only screaming ten-year-olds. Unless you know excactly who you play with, the lack of voice chat is a blessing!! !